The local Tanzanian community bordering Lake Nyasa is no nearer to understanding what the conflict between their country and Malawi is about, nor why so much is at stake, as mediation efforts between Malawi and Tanzania are expected to begin soon. Since he was nine years old, Martin Mhango from Karonga village in northern Malawi has known no other livelihood than fishing. 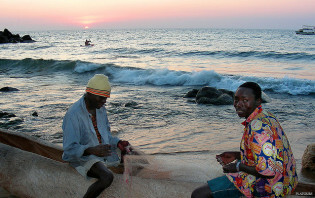 And for the last 33 years he has been fishing freely on Lake Malawi – that is, until last October when he was detained and beaten by Tanzanian security forces.